Atholl House is situated in a suburb of Compton approximately 2.5 miles to the west of Wolverhampton City Centre; there is easy access to a main bus route and also ample parking for visitors. 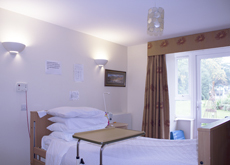 We offer the very best in quality nursing care, security and support in a friendly environment. We comprise of 84 single rooms over 3 Units; ensuite facilities are available. Each room is well equipped and furnished to the recommended standard. Atholl House comprises of 84 single rooms over 3 Units ; en suite facilities are available. Each room is well equipped and furnished according to the recommended standards. People that are admitted to the home for both long and short term care are welcome to personalize their rooms subject to health and safety regulations.